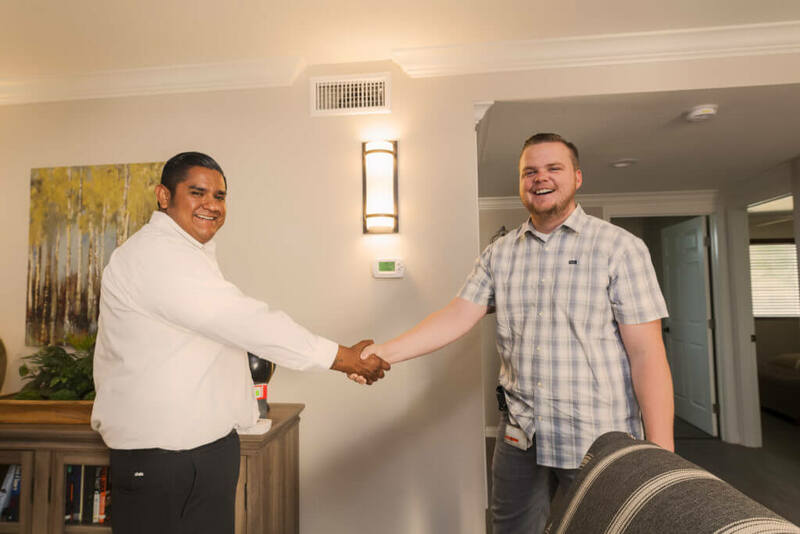 Dedicated to serving veterans year-round, RighTime Home Services in Orange County recently took action to help the Orange County Rescue Mission, after hearing their need for better HVAC control. In Orange County, at least 4,500 veterans are on waiting lists for affordable housing and over 6,000 are unemployed at any one time. The Orange County Rescue Mission’s Tustin Veterans Outpost, opened in May 2016, currently houses 32 homeless veterans and is a place where hope and encouragement can be found. On Oct. 25, our team donated and installed eight Wi-Fi thermostats at the Tustin Veteran’s Outpost Housing Facility free of charge. These thermostats allow the team to program the temperature for the entire housing facility from one device, as well as save money and energy over time. The new Wi-Fi thermostats installed provide ample accessibility and money-saving abilities, and do an excellent job communicating with the heating and cooling system, allowing precise control over the comfort of the home or facility. These thermostats will not only keep the residents warm and cozy throughout the holidays and cool and comfortable in the summer, but will also provide peace of mind for the team. Giving back to our veteran community has always been a priority to us at RighTime, and we are thrilled to have had the opportunity to join the OC Rescue Mission in their efforts to help homeless veterans. To learn more about the Orange County Rescue Mission and the Tustin Veterans Outpost, visit www.rescuemission.org. To learn more about RighTime Home Services’ award-winning heating, air conditioning and indoor air quality services, visit www.rightimeservices.com or call (714) 793-0739.